"Thus," wrote Isaac Jogues, "on the 29th of September, René Goupil, an angel of innocence and martyr of Jesus Christ, was immolated in his thirty-fifth year for Him who had given His life for ransom. He had consecrated his heart and his soul to God, and his work and his life to the welfare of the poor Indians." It is so very difficult to write about the sacred liturgy, because there are simply too many fascinating points of discussion. For instance, today, I was going to write about several topics, including the Mystérium Fídei, but (as you can see), I was sidetracked. Perhaps the best course of action is to simply offer up all our failings and inadequacies to our Savior. Let me repeat what I’ve said in the past: one could study the sacred liturgy for 100 years and only begin to scratch the surface. 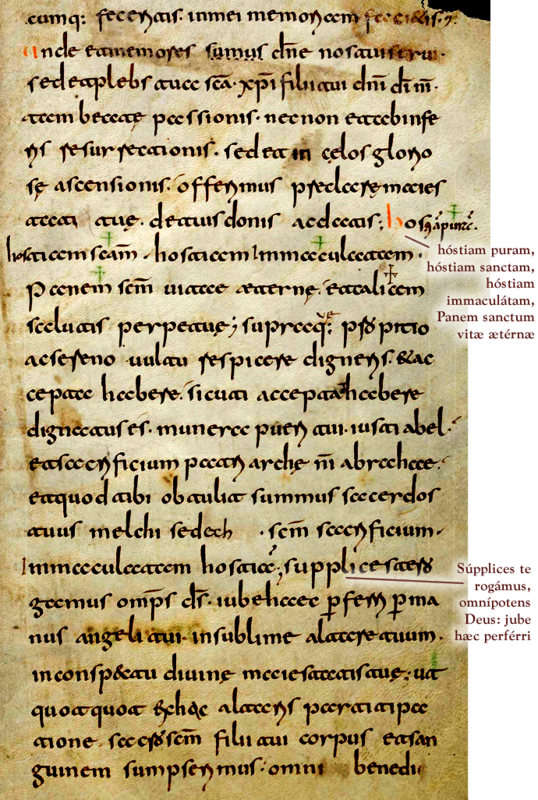 As we’ve already discussed, the Gelasian Sacramentary is the most ancient version of the Roman Canon we posses. 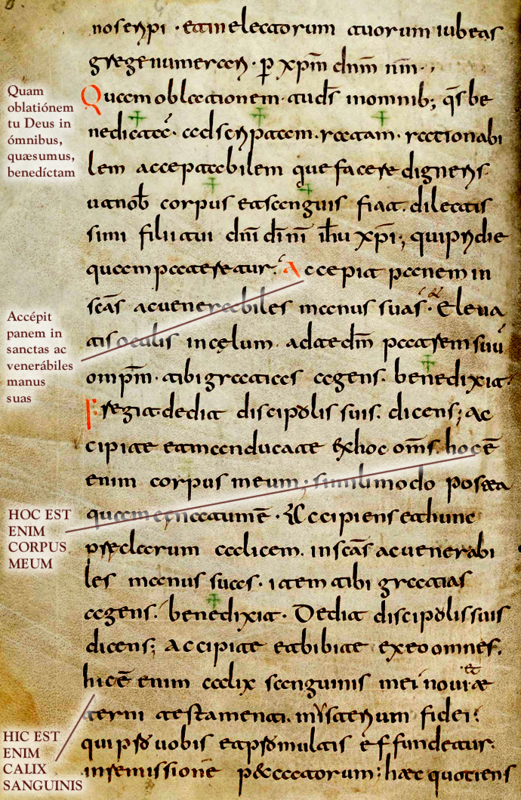 The Gelasian Sacramentary exists in several MSS. 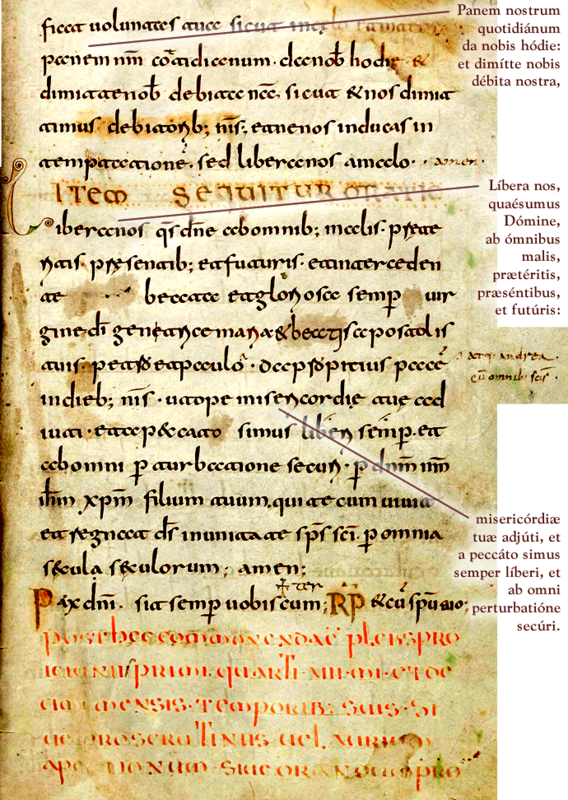 The oldest version is that of a book written in the 7th or early 8th century for use in the abbey of St. Denis at Paris (now at the Vatican Library). 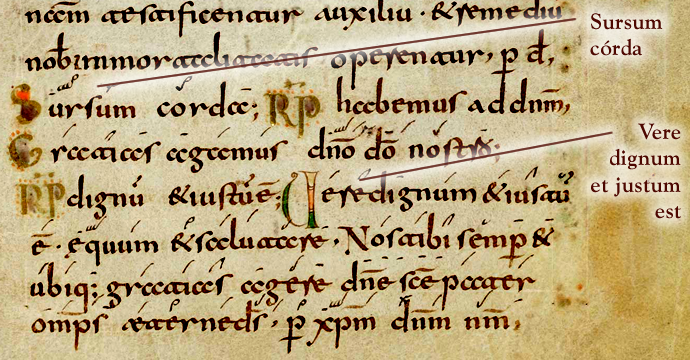 The version reproduced below is that of St. Gallen (AF, 119). 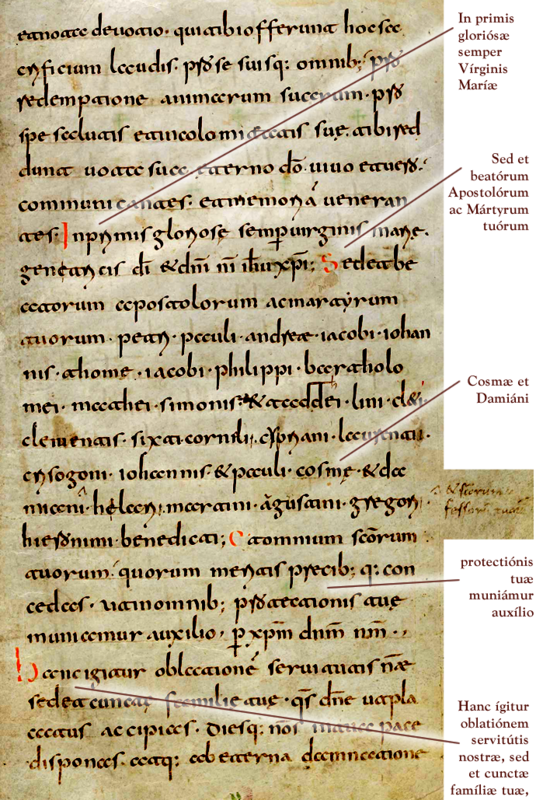 Obviously, the Roman Canon as copied in these MSS had already been prayed in this form for many years. Nobody knows for sure how ancient the Roman Canon is (in the form we have), but a very conservative guess would be no later than the year 500AD. What Are The Mass Propers? is an ongoing series dedicated to exploring the Graduale Propers and other aspects of the Catholic liturgy. The views presented here do not necessarily represent the views of Corpus Christi Watershed. Comments, advice, and criticism are welcome, and can be E-mailed. E-mails will be read, but cannot always be answered (due to time constraints). 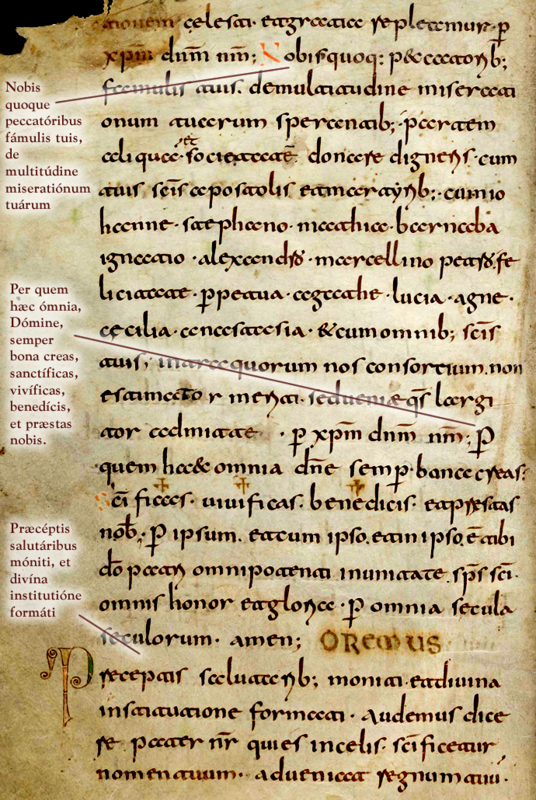 “AF” refers to Adrian Fortescue, The Mass: A Study of the Roman Liturgy (1912). 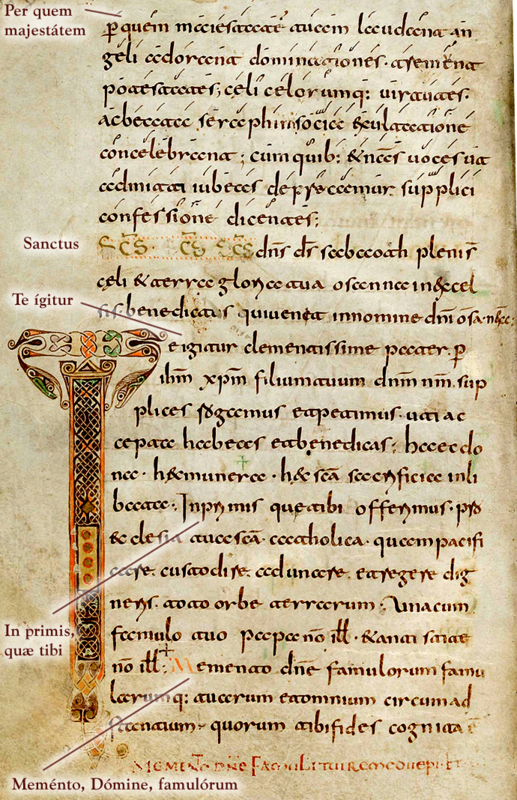 Pictures of ancient manuscripts appearing in this blog come from various sources. The author has collected his own color photographs of manuscripts from libraries and monasteries in the United States and Italy. A Canadian chant scholar who has been taking photographs of MSS since the 1960’s has generously made his collection available as well, and the author is grateful. Some photographs also come from online archives hosted by libraries and universities the world over. All photographs are used with permission.